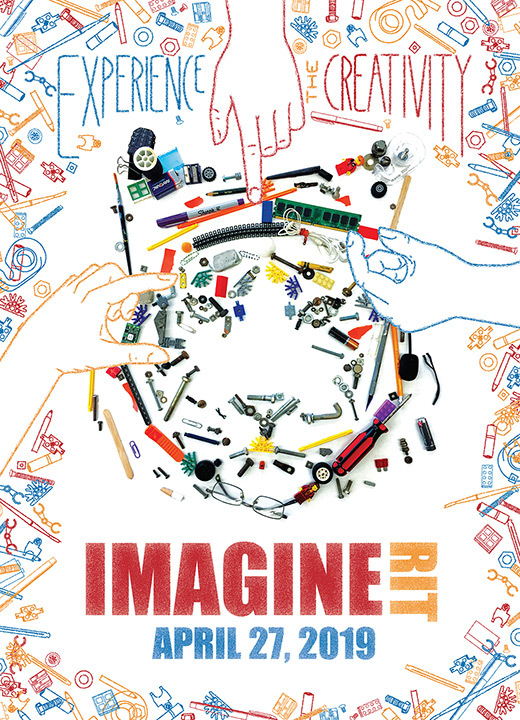 The winning design in this year’s Imagine RIT poster contest was created by Maggie Blaisdell, a first-year student majoring in graphic design at Rochester Institute of Technology. Her design, a colorful amalgam of tools being put together to create a tiger face—the symbol of RIT—was chosen from among 56 entries in the contest. “The hands symbolize collaboration, the items symbolize RIT student's various interests, and the tiger symbolizes RIT itself,” said Blaisdell in describing her entry. Second place went to Gan Lin, a third-year new media design major from Ellenville, N.Y.
For her winning entry, Blaisdell—a resident of South Fork, Pa.—will receive $500 in Tiger Bucks. 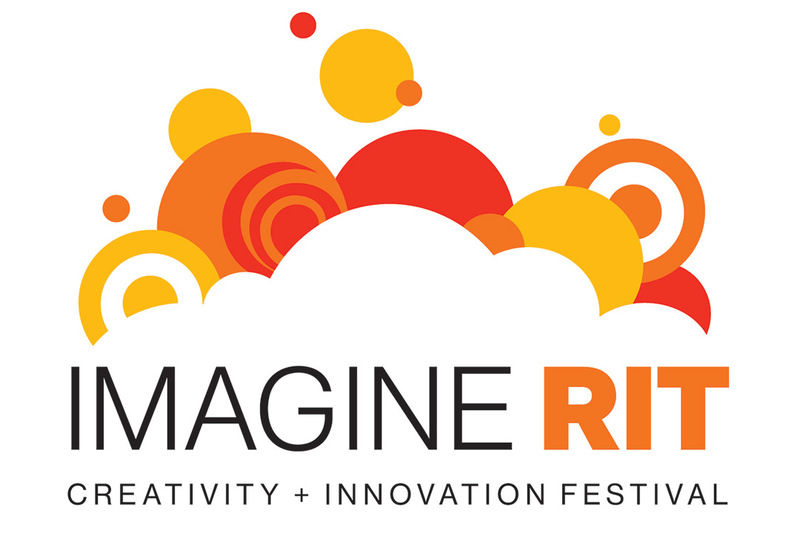 The poster will be used to promote the Imagine RIT: Creativity and Innovation Festival, set for 10 a.m. to 5 p.m. April 27 on the Henrietta campus. For second place, Lin will receive $250 in Tiger Bucks. There were more than 5,000 votes cast in this year’s poster contest.